On Rakhi, Ayushmann shared a picture of his daughter Varushka imitating her elder brother Virajveer. 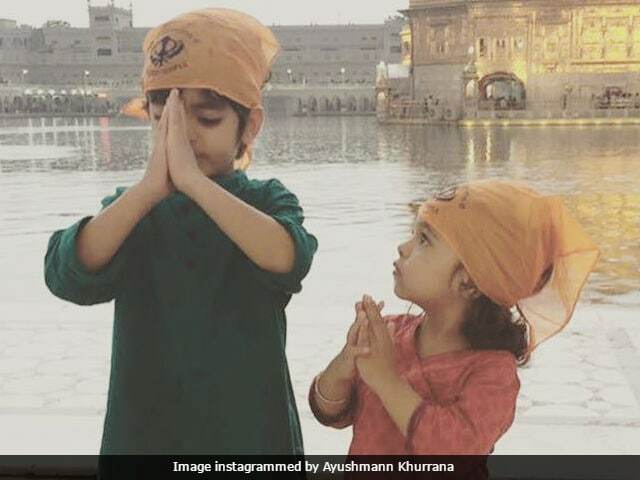 He wrote: "This one is for the supreme brother sister bond"
Actor Ayushmann Khurrana posted a picture of his children on Instagram on the occasion of Raksha Bandhan on Monday. "This one is for the supreme brother sister bond. #Rakshabandhan (sic)," he wrote in caption and the picture truly shows how a little sister looks up to her elder brother. Ayushmann Khurrana married his childhood sweetheart Tahira in 2011 and the couple are parents to Virajveer, 5, and three-year-old Varushka. In the picture (may be throwback) Ayushmann shared on Rakhi, Varushka can be seen imitating Virajveer by folding hands in reverence just like her brother at a gurudwara. Ayushmann's daughter is infinity times cute. Ayushmann Khurrana, who stars in upcoming film Bareilly Ki Barfi, rarely shares pictures of children on social media but this Raksha Bandhan special was a treat for his fans. Ayushmann in an earlier interview to Hindustan Times said he is 'childlike' around his children and his wife Tahira is the 'bad cop.' He said: "I've to be the good cop because most of the times I'm travelling for my films and gigs. It gets quite hectic and I can't afford to be strict. I've to be their friend." Ayushmann Khurrana was last seen in Meri Pyaari Bindu with Parineeti Chopra. 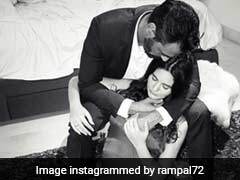 Bareilly Ki Barfi (directed by Ashwiny Iyer Tiwari), which also stars Rajkummar Rao and Kriti Sanon, is slated to release on August 18. In September, he will be seen in R S Prasanna's Shubh Mangal Savdhan with his Dum Kaga Ke Haisha co-star Bhumi Pednekar.